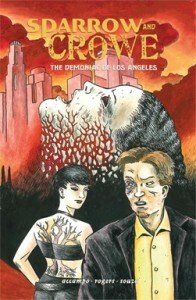 Sparrow & Crowe: The Demoniac of Los Angeles is now available for PRE-ORDER on Amazon.com! 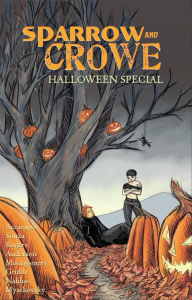 This volume contains the complete Sparrow & Crowe series, as well as a special never-before-seen epilogue designed specifically for this collection! We’d love for you to order this book via your comic book store or local bookstore, but if you prefer to order books via Amazon, we would appreciate your pre-order! 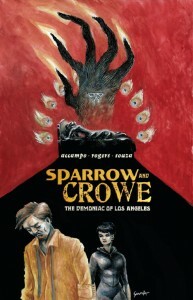 SPARROW & CROWE #5 is NOW available at ComiXology.com! In the epic conclusion to “The Demoniac of Los Angeles,” the truth is revealed as the final pieces of an ancient game fall into place. SPARROW & CROWE #4 is NOW available at ComiXology.com! Get the penultimate chapter in the “Demoniac of Los Angeles” storyline, as Crowe attempts to save Amanda Marino from a demon that’s haunted him for years! 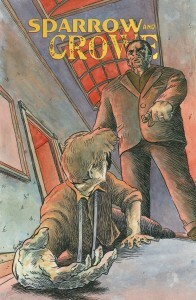 SPARROW & CROWE #3 is NOW available at ComiXology.com! 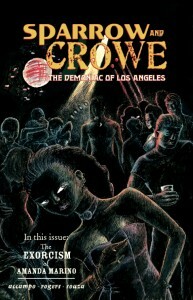 Get the third chapter in the “Demoniac of Los Angeles” storyline, as Crowe attempts to save Amanda Marino from a demon that’s haunted him for years! 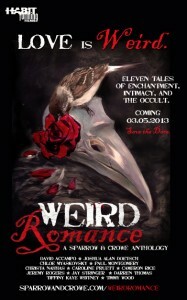 WEIRD ROMANCE: A SPARROW & CROWE ANTHOLOGY is available for purchase in the Amazon Marketplace. Eleven tales of enchantment, intimacy, and the occult! 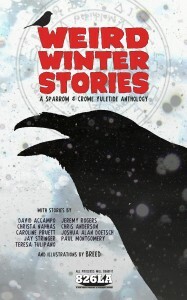 WEIRD WINTER STORIES: A SPARROW & CROWE YULETIDE ANTHOLOGY is available for purchase in the Amazon Marketplace. Proceeds for this volume benefit charity! 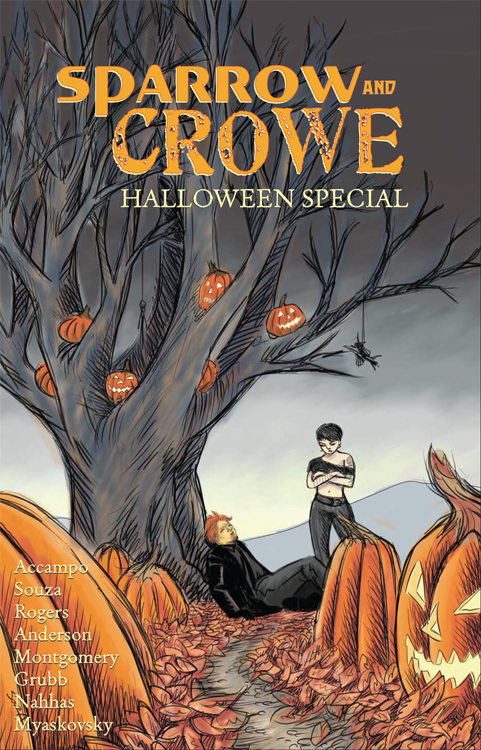 The SPARROW & CROWE HALLOWEEN SPECIAL is currently available on ComiXology.com. Four short comics tales, plus six pin-ups. For more details, click here. 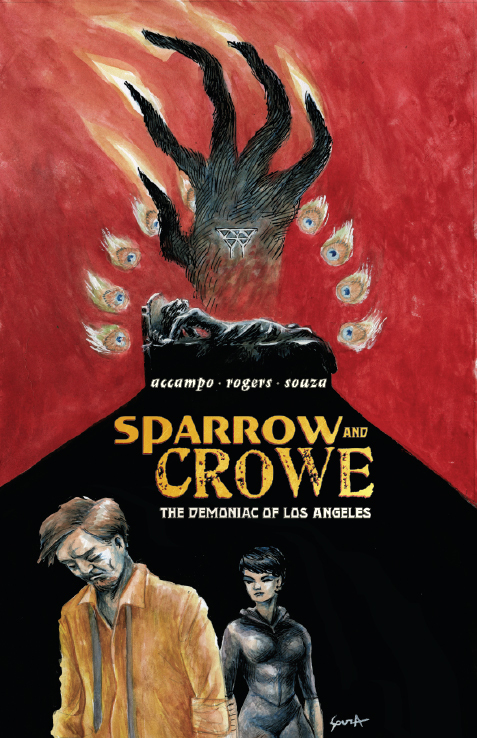 READERS: Hermes Press is now offering direct shipping on issues of Sparrow & Crowe #1-2. Visit Hermes Press today to have the books delivered to you! If you would prefer to shop through a retail store, the Eisner-winning Los Angeles comics shop, Earth 2 Comics, is willing to ship comics anywhere! For friendly service — we highly recommend Earth-2. And as our local shop, you can also ask for a copy signed by us! Call them today, or click on the link below for an auto-generated email query! Tel: (818) 386-9590 | Send Email for Details. Locate a comic book store near you with the Comic Shop Locator! Make sure you contact your local shop today to make sure they’ll reserve your copy! 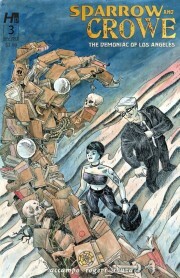 I there any place in Portland OR where they sell your comix books? I am not familiar with you but saw you mentioned on C. Wess Daniels f.b. If he likes – I want to taste of your work..
p.s. – I’m a 72 yr. old reader of mysteries and lover of Jesus. What you are doing look so great – can’t wait. Hi Toni — Thanks for checking in with us! We’ll check with Jared, our Portland-based artist! We’re SURE there are stores carrying the book, but we’re not sure exactly of the names/addresses!